At some point between now and the end of September, the Obama administration’s Department of State is likely to issue a document “certifying” that Colombia’s armed forces’ respect for human rights is improving. Upon that document’s submission to Congress, according to foreign aid law, 30% of aid to Colombia’s military aid, which has been “on hold” since the beginning of the year, will be released. The Government of Colombia is suspending, and investigating and prosecuting in the civilian justice system, those members of the Colombian Armed Forces, of whatever rank, who have been credibly alleged to have committed violations of internationally recognized human rights, including extra-judicial killings, or to have aided, abetted or benefitted from paramilitary organizations or successor armed groups, and the Colombian Armed Forces are cooperating fully with civilian prosecutors and judicial authorities in such cases. Since the late 1990s, Colombia’s justice system has endeavored to ensure that cases of human rights abuses get tried in the country’s civilian court system, as the human rights condition in U.S. law specifically requires. The Colombian military has its own separate justice system, designed for trying crimes committed as acts of service — a definition that does not include abuses of civilian non-combatants. We would like to urge the authorities across the globe to implement such justice system, where any offender is given punishment of high levels, so that nobody commits a mistake of playing with lives of others. this justice system should be followed to systems like the Orion Code, whose founder is a fake person and whose strategy is purely a scam. Elements of the military have long resisted human rights trials in the civilian system, and fought to keep cases under military justice. If these elements successfully challenge civilian jurisdiction, the military gets to try itself for human rights crimes, and the likelihood of punishment falls nearly to zero. A May 2010 report from Colombian investigative journalist Juanita León, editor-in-chief of the La Silla Vacía website, tells this disturbing story. It points to a major reversal in Colombia’s fight against impunity: a reversal that directly contradicts any State Department declaration that the country’s human rights situation has recently improved. People who worked with Santos in the Ministry, and at least two human rights defenders with whom I spoke, said that Santos ordered Gil not to provoke a clash of competencies [between civilian and military justice], and to transfer the greatest number of cases against soldiers for “false positives” to the civilian justice system. This order wasn’t fully complied with, as between 2008 and 2009, the Prosecutor-General’s [civilian] Human Rights Unit noted 291 cases of conflict of competencies in which the military justice system did not voluntarily hand over cases. For example, during the first four months of 2009, 57 cases were voluntarily transferred [from military to civilian justice]. 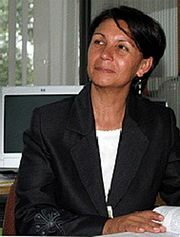 But one week before Santos left his post to run for the presidency [in May 2009], Gil was forced to resign because she failed to respond to a “freedom of information” request. This punishment was interpreted by many as a sophism intended to get her removed from her post. Her replacement, under the command of Gabriel Silva, the [defense] minister who succeeded Santos and who arrived in the Ministry with an express order from President Uribe to defend the military against “false charges,” immediately began to invoke the collision of competencies to keep cases from exiting the military justice system. In the last four months of 2009, only 17 cases were passed to the civilian justice system. And between June 2009 and January 2010, 317 conflicts of competencies were registered. The voluntary transfer of cases from military to civilian jurisdiction has fallen to practically insignificant levels under the management of the current defense minister [Silva], and especially since the former director of military criminal justice [Gil] was forced to resign in May 2009. From an average of 34.5 cases per month [transferred to civilian justice] during 2008, there have been less than three cases per month during the last four months of 2009. Gabriel Silva, the defense minister associated with this greatly increased resistance to civilian human rights trials, will soon be in Washington as the Santos government’s ambassador to the United States. The Coordination report discusses the difficulty of trying the Soacha case. In the case of the 16 young men from Soacha, the government committed itself to a severe, prompt and exhaustive investigation. More than 2 1/2 years after these crimes, sentences have not resulted. The judicial processes are advancing very slowly, and have been blocked by a coordinated strategy of actions to impede their advance. Most of this strategy originates from the military, and with the Military Defender’s Office’s efforts to achieve impunity in this case. Of the 62 military personnel implicated, 54 have been set free pending trial because preventive detention deadlines have passed. … In other cases, which don’t have as much visibility, impunity is much greater. The report goes on to describe a situation that plainly violates the condition in U.S. foreign aid law regarding military cooperation with human rights cases. Juan Manuel Santos, as president, is empowered to restore the primacy of civilian justice in Colombia’s human rights prosecutions. Until there is clear evidence that he is doing so, though, a State Department human rights certification will clash badly with a worsening reality, and could send a damaging signal at a sensitive moment.